A lovely house in a quiet area close to the center. 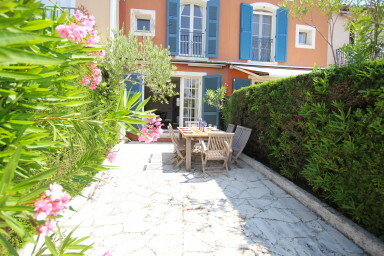 This fisherman house is located in a private and highly residential area close to Port Grimaud 1. - on the second floor: a large master bedroom with 2 single beds joined together, a bathroom and a large solarium with a lovely view on the canal. A/C in the bedrooms of the 1st floor.